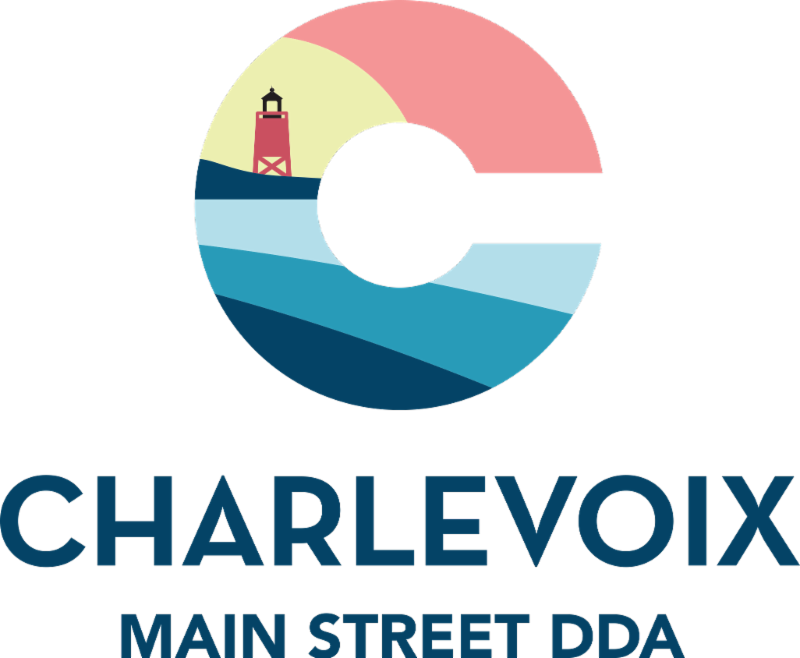 Charlevoix to host CEC Conference Oct. 3 & 4th! 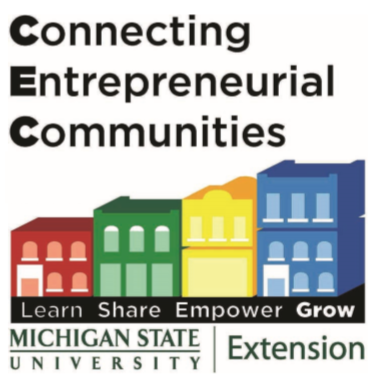 The Connecting Entrepreneurial Communities Conference is coming to Charlevoix! Small Town Conference. For Small Towns. In a Small Town. It's not often we have a conference like this in our town! 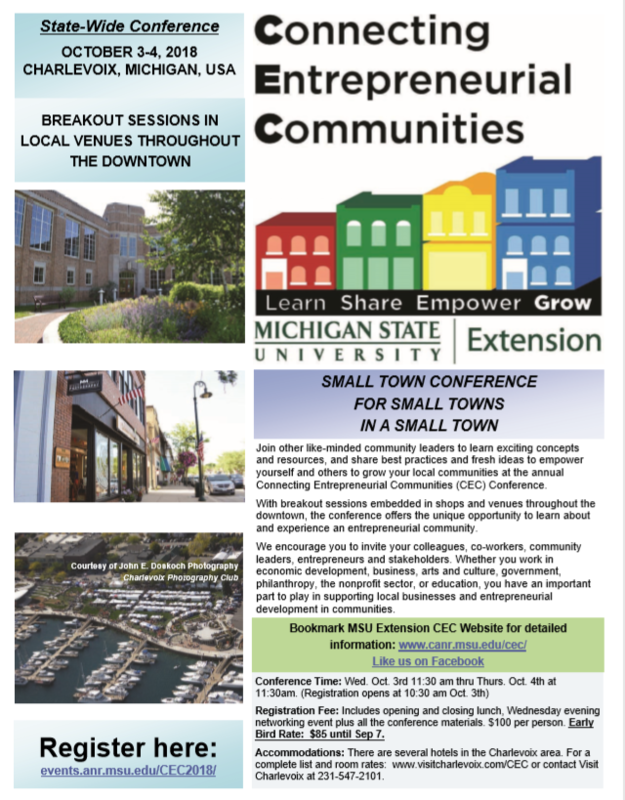 Make sure you register for the CEC Conference in Charlevoix coming up. Two great local entrepreneurs as keynote speakers, 28 breakout sessions to choose from, excellent idea sharing, best practices and networking opportunities... all "embedded" in our vibrant downtown. Bring a team and learn how to positively impact your community! Click the info flyer for conference info, registration details, etc. Hurry, registration ends September 30th.